If we must first forgive others before God will forgive us, wouldn’t that mean that we initiate our own forgiveness? And, as we all know, God’s forgiving us is an essential aspect of our salvation. Therefore, if it is true that we must first forgive, then by our work of forgiving others, we have initiated a part of our salvation. Here’s another very plain verse: “But God commends his own love toward us, in that while we were yet sinners, Christ died for us” (Romans 5:8). Many other Scriptures agree that it is God who acts first in our salvation, and that He did not base our salvation on our works. These verses make the idea that we must first forgive others before God will forgive us an impossibility, at least for Christians. Why, then, did Jesus teach the idea that people had to first forgive others before God would forgive them? The Bible does not contradict itself. These passages seem to contradict each other only when we leave out an important part of the equation. Jesus spoke the words in the Gospel before His death on the Cross for our sins and the beginning of the New Covenant. Like so many of His statements at that time, He intended them to teach the Jews under the Old Covenant the utter futility of trying to obtain salvation by our works. To the Jews who thought they were obeying the outward letter, He explained that they were still not achieving God’s standard of righteousness. He told them they were not even to look upon a woman with lust or be angry without a cause. They were not to take any oath. They were not to resist evil people. They were to be quickly reconciled. James begins chapter two by saying that we shouldn’t show partiality; for example, we shouldn’t treat a rich person any better than a poor person. Then, in verses 8-9, he teaches, “However, if you fulfill the royal law, according to the Scripture, ‘You shall love your neighbor as yourself,’ you do well. But if you show partiality, you commit sin, being convicted by the law as transgressors.” Is James saying that believers must perfectly keep the law and can be convicted by the law as sinners? No. That’s just the point. Let’s let James explain himself further. They are wrong. Remember, James was an elder in Jerusalem, and, as he told Paul when that apostle visited Jerusalem, “You see, brother, how many thousands there are amongst the Jews of those who have believed, and they are all zealous for the law” (Acts 21:20). James was not pointing out their zealousness for the law as a good thing, but as a dilemma he faced when ministering to these people. Writing to the Jews of the dispersion (James 1:1), James is trying to help the Jews to see the uselessness of trying to keep the law. James is not giving a truism for believers. He is teaching a general principle of the law: Those who are under the law are responsible to keep all of it. He elaborates in chapter 2, verse 11: “For he who said, ‘Do not commit adultery,’ also said, ‘Do not commit murder.’ Now if you do not commit adultery, but murder, you have become a transgressor of the law.” Rather than teaching that Christians should keep the law, he’s saying that trying to keep the law is hopeless. If you don’t offend in one point, you are sure to offend in another. James wants his readers to use this information about the inescapability of breaking the law. 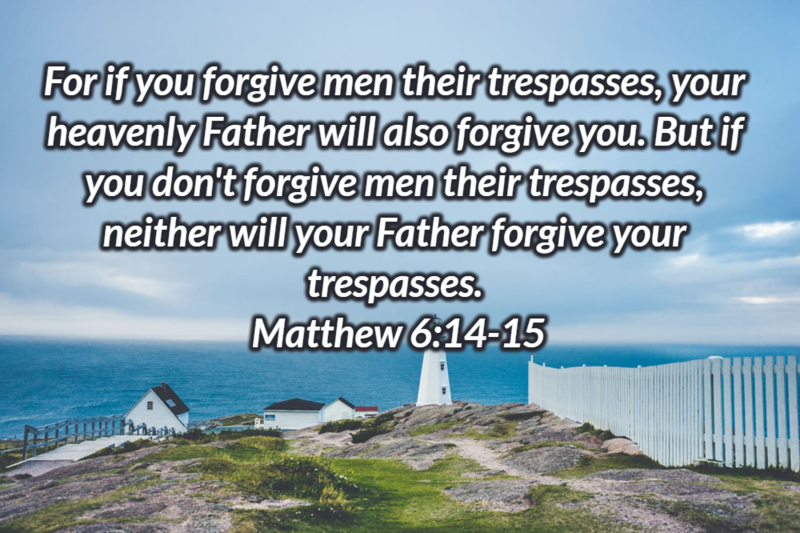 Seeing that breaking the law is inescapable and that man’s only hope lies in God’s forgiveness through grace, they should also take pity on others and forgive them. “So speak, and so do, as men who are to be judged by a law of freedom” (verse 12). In other words, because God will judge us by what James calls the law of freedom—which is really grace, love, and mercy—we should judge others by that same law of freedom: “For judgment is without mercy to him who has shown no mercy. Mercy triumphs over judgment” (verse 13). If we judge others without mercy, we are demonstrating that we are still under the law that is merciless. Those who are truly saved may temporarily slip into such thinking, but God will open their eyes to their fault before it is too late. When we are merciful, that mercy negates judgment. We don’t initiate God’s forgiveness, but we manifest it. If we are judgmental toward others, we are exalting the law over grace. We are saying that we want the law. And if we want the law for others, then God will judge us by the law without mercy. Those who have falsely professed belief and who are excited by the ideas of religion, morality, law, and justice will be judged by the law with no mercy. So, in the verses I quoted at the beginning of this article, Jesus was speaking from the point of view of those still under the Old Covenant and its law because that was the covenant still in force. But He was showing why the ending of the law and the coming of the New Covenant—under which there is no condemnation (Romans 8:1)—was needed. No one can meet God’s standard of righteousness, including His standard of forgiveness. God will not judge with forgiveness those who don’t show forgiveness toward others. Instead, He will judge them by their works because their works reveal their still hardened hearts (Revelation 20:13). Those who do show forgiveness toward others are bearing the fruit of the forgiveness God has already given them through Christ. Because He was both God and man, He was the only human who ever met God’s standard of righteousness. Through Christ, God always initiates every aspect of our salvation—including our forgiveness—and this is amply supported by Scripture (e.g. Colossians 2:13; 1 John 2:12). Writing well after Christ’s death and the start of the New Covenant, Paul puts forgiveness in its correct order for believers: “Put on therefore, as God’s chosen ones, holy and beloved, a heart of compassion, kindness, lowliness, humility, and perseverance; bearing with one another, and forgiving each other, if any man has a complaint against any; even as Christ forgave you, so you also do” (Colossians 3:12-13; see also Ephesians 4:32). Christ first forgives us, and then we forgive others. Fallen from Grace? → ← Q. Does God see choosing singleness to be equally as good as marriage?